Superfood on the table for your Thanksgiving? Sure – whatever floats your boat. But whatever you do, keep it safe. A little attention to some basic safety concerns will probably do more for your health than that those yummy ancient grains you’re fixing. The grains will bring you pleasure. Great. Food and fire safety will keep you alive. Even better. Lots of people are cooking today. And for many people that’s not an everyday thing. Unfortunately, that means more home fires. And not just from exploding turkey fryers. Nope, most of this is just run-of-the-mill kitchen fires. Half of all home fires result from cooking adventures. 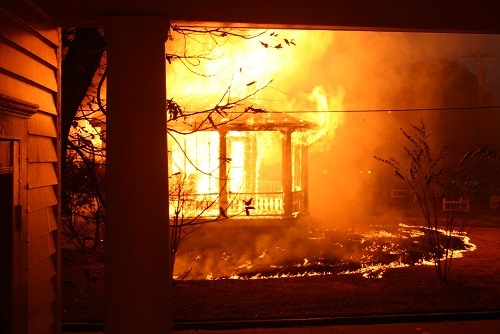 So the risk of burning up your house is three times higher on Thanksgiving Day. What’s the number one cause of kitchen fires? Leaving the kitchen unattended. Stuff happens when the stove is on and no one’s around. So be there for your food and it will be much less likely to burn down your house. For more Thanksgiving fire safety tips, check out this from the Aspen Times. If you’ve got the fire safety thing under control, you’re halfway home. Food safety is next. And it’s timely, because a number of issues are in the news. E coli has gotten into our romaine lettuce, so romaine is off the menu for Thanksgiving. No big loss for this special day. Really, if you haven’t tossed out the romaine lettuce, do it now. Don’t risk your life for a salad. 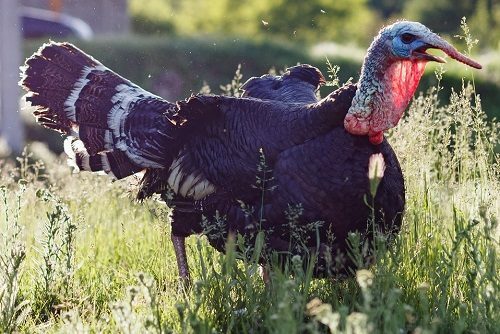 The second big issue is salmonella in our turkeys. The Reading strain has sickened 164 people in 35 states. It sent 63 people to the hospital and killed one. That’s one too many. 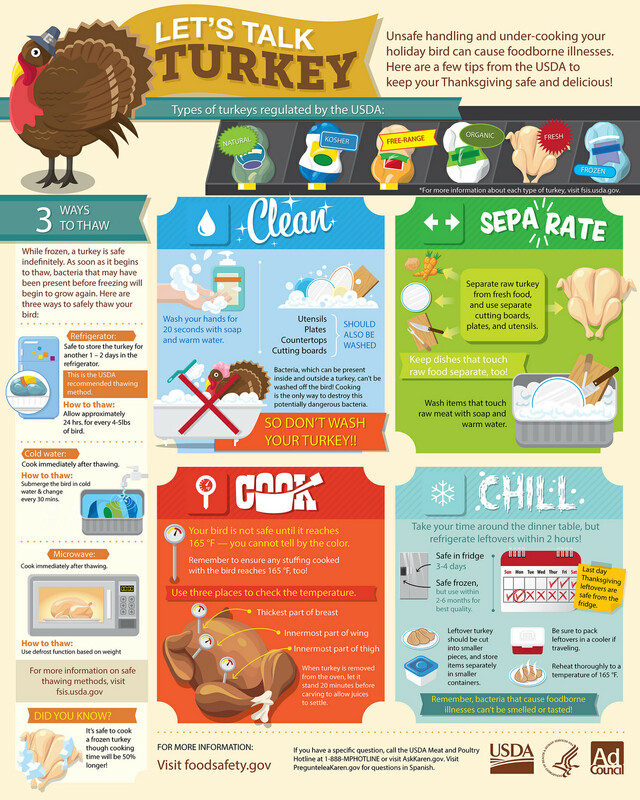 So get serious about food safety and handle your turkey safely. You can be sure it has some bugs that will turn nasty if you don’t follow a few basic rules for food safety. You’ll find all the details here. The real point of Thanksgiving is quite simple. Time well spent with people you love. It might be a consumption ritual, as some scholars have written. But we prefer to think of it as a ritual of love. The food is good, but it’s beside the point. Listen and enjoy what your loved ones have to offer and you’ll have a fabulous Thanksgiving. P.S. You can actually do this on any day of the year. If you want to tell yourself that you’re eating superfoods for Thanksgiving, click here and here to load up on fun facts.